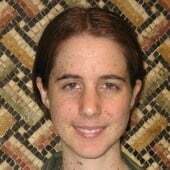 Beth Gingold is a research analyst in the People and Ecosystems Program at the World Resources Institute. She provides programmatic and analytical support to the Southeast Asia Forest Team. Her current research is focused on deforestation and the economics of palm oil production in Indonesia. Prior to joining WRI, Beth worked at the Janaagraha Centre for Citizenship and Democracy in Bangalore, India. Her tropical research interests have taken her to Puerto Rico, Ghana, and Cameroon. She holds a Master of Environmental Studies and a B.A. in Economics from the University of Pennsylvania. Despite the media focus on the palm oil "debate", which pits proponents of "development" against environmentalists, many voices in private, public, and civil sectors have noted the potential of the palm oil sector to contribute to poverty reduction. The World Bank Group should aim to achieve and measure poverty reduction, not palm oil investments.